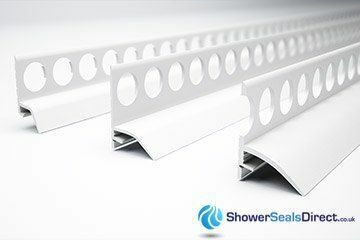 Sealux Regular (Reg) Shower and bath seals are available in 3 different width profiles, allowing you to choose which width best suits your needs. Sealux Regular profiles are fixed to wall with Sealux-N silicone (or a high grab polymer adhesive). 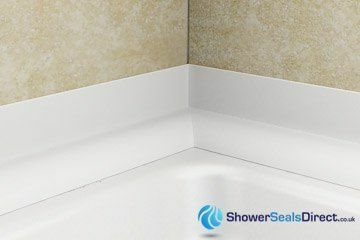 The trim is also fixed to bath/shower tray with Sealux-N ensuring a watertight seal. 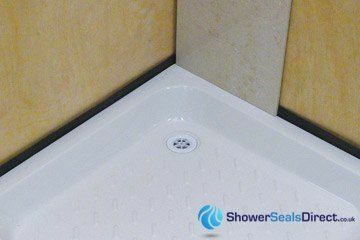 Each profile uses a pre-installed silicone sealant bond breaker that allows for joint movement between walls and the shower tray, pan or bath. 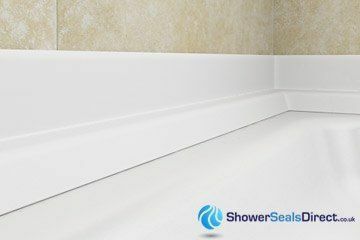 They are an ideal sealant solution where a gap between wall and bath/shower tray has to be spanned. 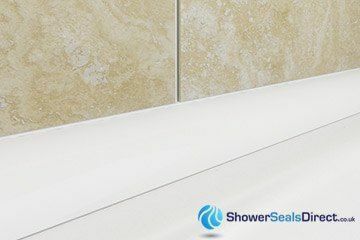 Sealux Professional Shower and bath seals are available in 3 different width profiles, allowing you to choose which width best suits your needs. You can also choose how to fix to wall, i.e. with tile adhesive (punched trims) or with silicone. 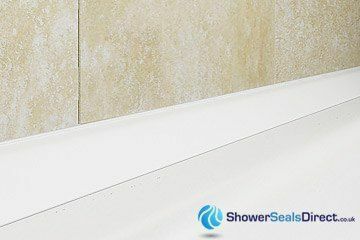 Each profile uses a pre installed silicone sealant bond breaker that allows for joint movement between walls and the shower tray, pan or bath. They are an ideal sealant solution where a gap has to be spanned. 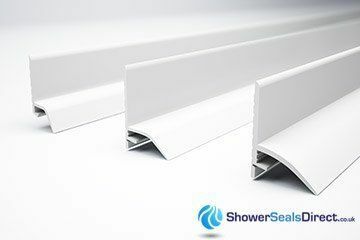 Trimlux Regular trimlux trim on bath or shower Trimlux Shower and bath seals are available in one profile width (25mm). The puched trim (Pro) is ideal to embed into tile adhesive prior to adding your wall tiles. The non-punched trim can be affixed to wall with silicone. 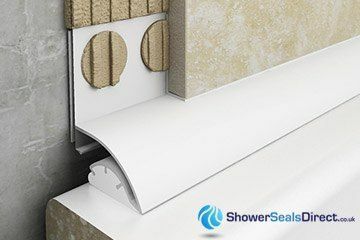 Trimlux trims conceal and protect the silicone sealant and allows for joint movement through the flexing of the profile itself, a truely revolutionaly shower seal product! They are an ideal sealant solution where a gap has to be spanned. 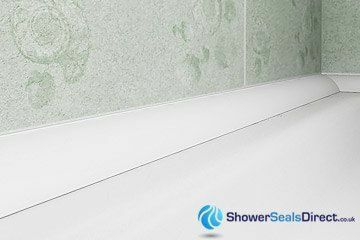 Trimlux Professional trim on bath or shower Trimlux Shower and bath seals are available in one profile width (25mm). The puched trim (Pro) is ideal to embed into tile adhesive prior to adding your wall tiles. 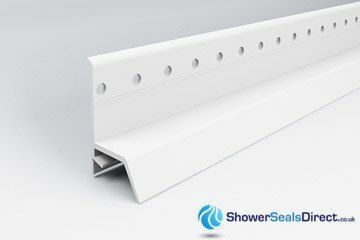 The non-punched trim can be affixed to wall with silicone. 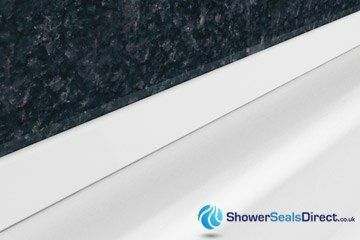 Trimlux trims conceal and protect the silicone sealant and allows for joint movement through the flexing of the profile itself, a truely revolutionaly shower seal product! 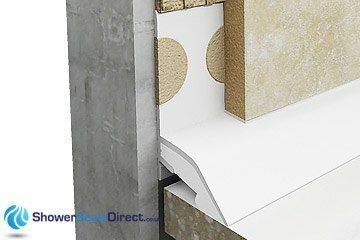 They are an ideal sealant solution where a gap has to be spanned. 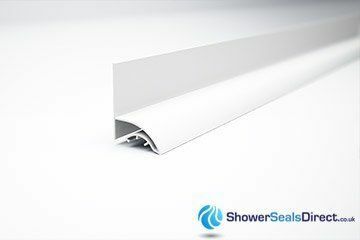 Cladseal is specifically designed as a shower/bath seal for use with PVC wall panels. As their popularity continues to grow, Cladseal has become the choice seal of leading wall panel manufacturers. Built on the proven excellence of Sealux seals, the Cladseal Kit incorporates a bond breaker to allow for repetitive joint movement. Commence Wall Panelling Before Installation. Commence Wall Panelling After Installation. 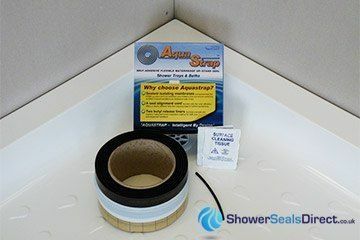 Aquastrap Shower and bath seal comprises of a hi tack butyl tape that is attached to a shower tray, bath or worktop. 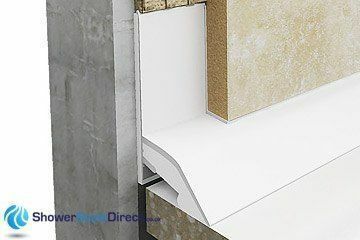 It is easily fitted prior to the installation of wall tiles or wall panels. 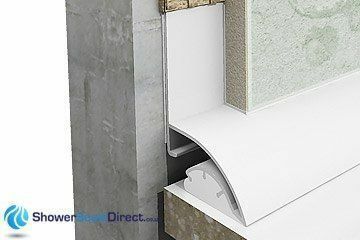 Aquastrap is flexible and hence can allow for joint movement between shower tray/bath and adjacent walls. 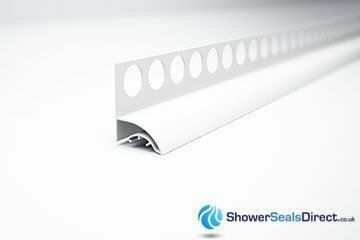 ©Copyright 2018 Shower Seals Direct. All Rights Reserved.